I have a feeling my baking website will eventually become popular for my pizza recipes and less for everything else. 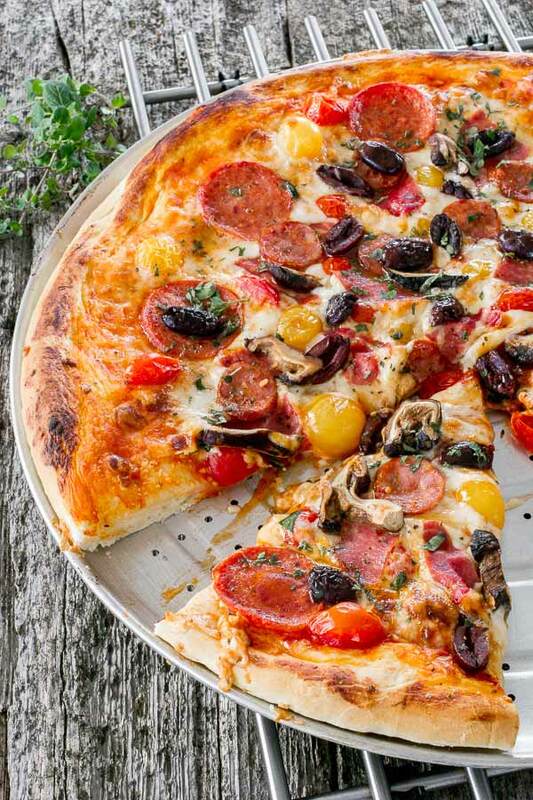 [lol] Unfortunately, I can’t help it, I love pizza and I am trying to make up for all those years when I had no idea how easy it is to make your own, when I used to order from every other pizza place that came my way. I actually delivered pizza for a couple of months few good years back and though they were not going out of their way in making the perfect pizza, it wasn’t that bad either but trust me when I say, you have every reason for making it yourself. 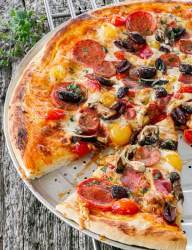 My inspiration for this pizza came from one of our local fast food stores that serve a good spicy Italian sandwich. I figured, why not try similar combinations on a pizza flatbread, but this is where any similarity ends. For this recipe I used hot Calabrese salami, hot Genoa salami, hot Capocollo salami, hot Italian sausages… and mild Pepperoni [lol] but funny enough, it wasn’t that spicy in the end. Wife will probably tell you otherwise but she can’t take very well a pinch of pepper in her meal so, make it and decide for yourself. I loved it to be honest and I found some really good mozzarella as well (expensive though) and that made a whole lot of difference. As usually, I am looking forward to your comments and let me know if I missed anything in my recipe. Enjoy! Roll out the pizza dough and drizzle a bit of olive oil then place your dough on the pan. Spread pizza sauce evenly than sprinkle mozzarella, the more the merrier. Cook your sausages as much as you want, either in a pan or on bbq. Slice thinly and set aside. 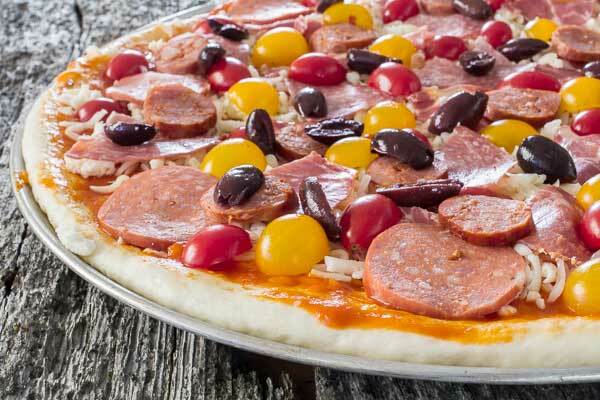 Evenly spread all ingredients, starting with meat and ending with tomatoes and olives. 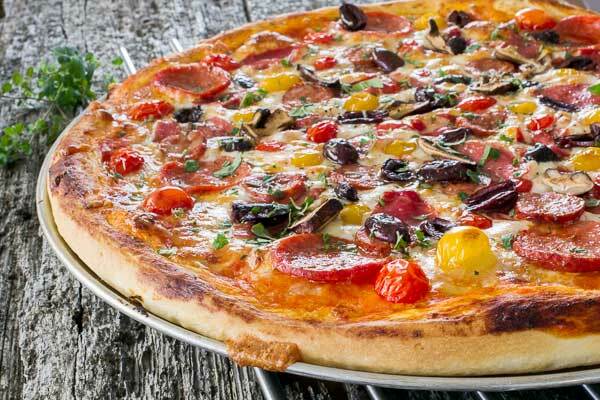 I am definitely craving a pizza to devour right now.. your spicy italian pizza looks SO delicious! thank you, it was very good.